"Thank you Imelda for taking such great care of Cleopatra last week - she was very calm and relaxed when she got home which is always a very good sign. I immediately booked her in for her next stay!" 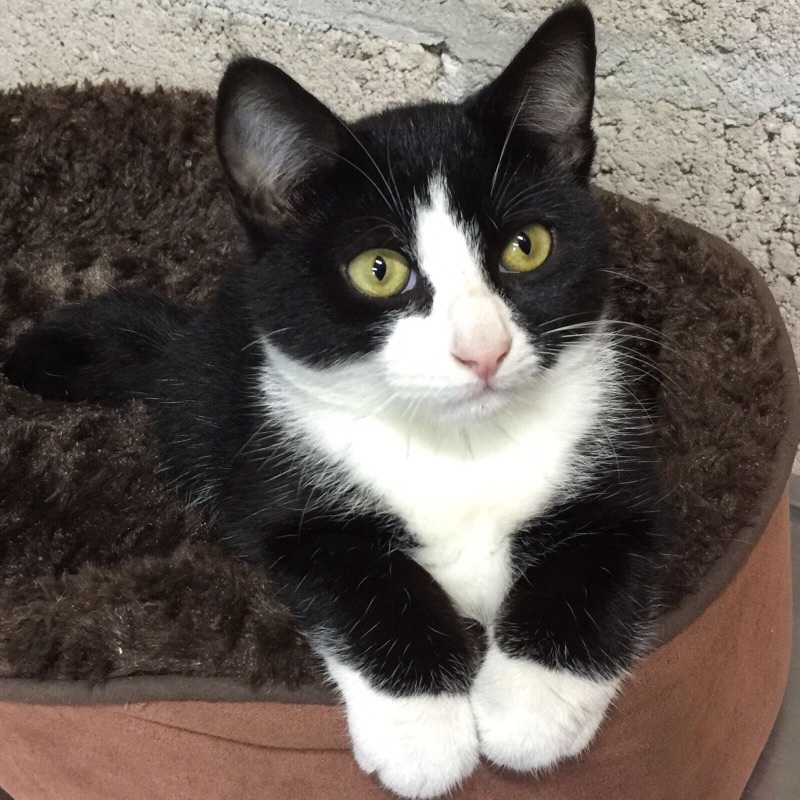 "After lots of searching and researching the catteries around cork, we came across Truffle Lodge cattery in Kinsale. Imelda came highly recommended. We were so impressed with the facilities, especially the heated chalets and climbing systems. Our Smokey was given lots of love and attention by Imelda and was very comfortable after his stay there; so much so that we have left him two more times since. It’s like leaving him with a family." "I was very happy putting Sammy into Imelda's care at Truffle Lodge. It looked very clean and safe and I knew he would be in safe hands while I was away. Imelda kindly kept me updated over his stay. She was also kind enough to transport him (and me) back to town, which I really appreciated..
"My two cats have been to Truffle Lodge Kitty Care on three 'vacations' since it opened over a year ago. They're very well looked after while there and are in great spirits when they come home. In fact, they don't want to come home when I go to collect them!! They're quite happy to stay on! Imelda gives them great attention while there & they're mad about her too!! She has a great way with cats and puts them at ease right from the start. I would highly recommend Truffle Lodge Kitty Care." From a happy customer (Liz)! "Timmy, our adopted cat of 4 months, loved Truffle Lodge. He had his own "lodge" over looking the countryside. Imelda made him (& us) so welcome. He was so well cared for, we will certainly be availing of Imelda's care in the future. She has a wonderful, caring nature with cats........and their owners." "I can't recommend Imelda and Truffle Lodge Kitty Care enough. It can be very stressful leaving your cat somewhere but I felt completely at ease once I had left Midnight in Imelda's care. The Lodge is pristine and the cats all have their own rooms with different levels and toys. They are fed the best of food and Midnight's coat was gleaming when we picked her up. Imelda is a complete cat lover and gives the kitties loads of individual attention. They are comfortable with her straight away as her professional knowledge knows all the tricks on handling them. I left Midnight for three weeks, safe in the knowledge that she was well looked after, and she settled back home straight away with ease. I also received photos and videos of Midnight whilst we were away which left us rest assured. Thanks Imelda. " Owner of Murphy, the ever so gentle warrior, who's sporting a few battle scars! "Truffle Lodge is so luxurious I think my cat didn’t want to leave! It’s never easy to have to leave your pet especially a cat however I feel 100% happy leaving Murphy with Imelda and Jim. Truffle Lodge is a state of the art facility however what is more important is the care and affection the cats get. Imelda and Jim are complete cat lovers and you can see that they bond with the cats in their care. You will often see Jim sitting with a cat in their room just playing with them. Imelda is very professional and diligent in her role as surrogate cat Mom! You know a place is good when you collect a happy and relaxed kitty. The purrs speak for themselves!" Owner of Gabe & Puddins, two adorable twin kittens who couldn't get enough of play! "I cannot recommend Imelda’s 5 star kitty hotel highly enough. The cat chalets are warm, bright and spotlessly clean. Imelda’s attention to detail and text bulletins ensured a stress-free week away for all concerned! Our kittens were relaxed, well-fed and happy at the end of their stay, and will definitely be back for a visit soon." Owner of Pookie!, the most adorable dark chocolate coloured kitten you could ever see! I would highly recommend Truffle Lodge. It's welcoming, fun, cosy, spacious, clean and has beautiful views for your Kitty to enjoy. Thanks Imelda and Jim. Pookie will definitely come back to visit. smile emoticon"
Owner of Caramel, the most adorable orange-blond docile doat! "Imelda took amazing care of our kitty at fairly short notice this past Christmas, and we are so grateful! She was able to pick our girl up and comforted her during the journey with soothing music and calming scents. While we were away, she kept us posted with texts and pictures of how our girl was getting on. It's obvious that Imelda understands both cats and their sometimes anxious owners very well. The boarding area itself is really lovely: spacious and clean, and the cats are provided with toys and a scratching area in addition the the usual bedding, food and litter. Each dormitory is on two levels, so cats can jump or climb if they wish. Very well thought out. All in all, couldn't ask for better service, and I wouldn't hesitate to board our girl here again. Thank you, Imelda!"